The card game HiLo (short for Higher or Lower) centers itself on probability, guesswork, and a little bit of luck. HiLo requires a simple setup to play coupled with an equally simple objective: two players compete to correctly guess whether the value of a card is higher or lower than the previous card. If you make enough correct consecutive guesses, you win the game. A deck of 52 cards is used for the game (no jokers). The deck is shuffled, and nine cards are placed in a horizontal line face down in front of each player. Both players turn face up the first card on the left side of their line of cards. Card value starts with aces considered the lowest (value of 1) and kings being considered the highest (value of 13). The two players take turns guessing whether the next face-down card in their line-up will be of lower or higher value than the previous card before flipping the card face up. If a guess is incorrect, the player must remove all face-up cards from their lineup to a discard pile, replace each card with a new face-down card from the deck, and then start over. The first player to flip all of their cards wins the game. An instant loss will occur when a player encounters duplicate cards. 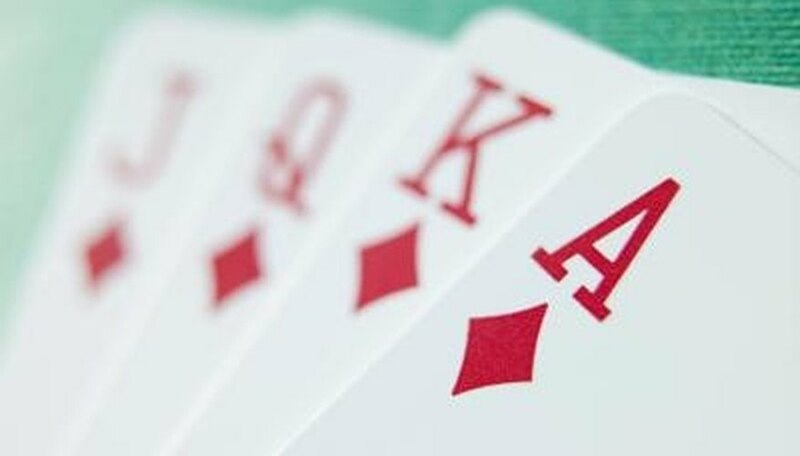 For instance, if a player sees an ace and states the next card will be of higher value to find the next card also is an ace, that player loses because the card is not of greater or lower value. Players should decide whether this rule is in effect before the game begins.